The diesel-powered Grasshopper Model 321D is built to last. The fuel-efficient diesel engine has the torque to handle any job with the greatest of ease. 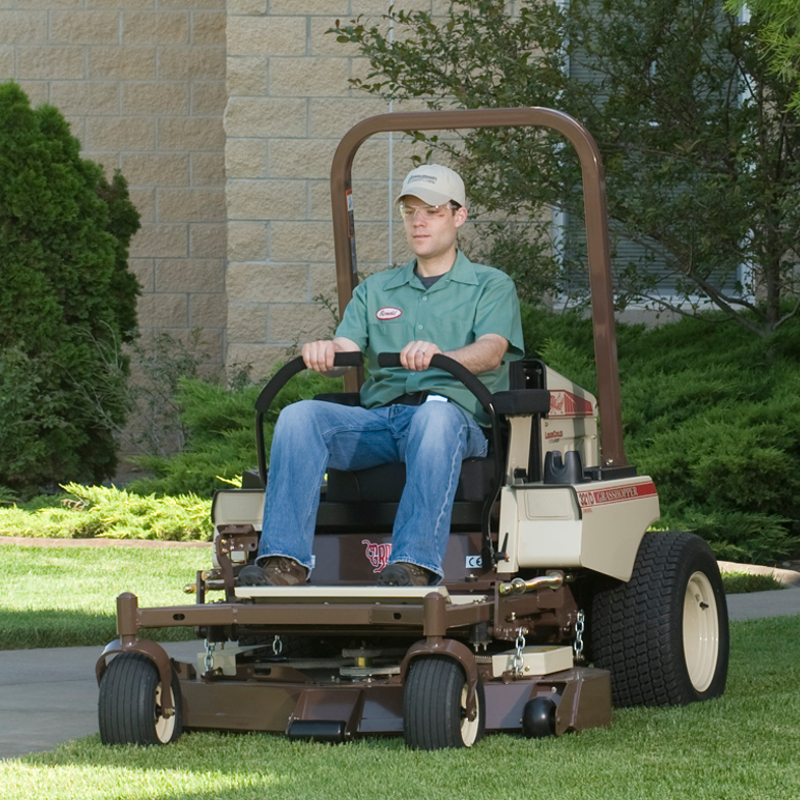 Rural home owners and commercial landscapers can take advantage of the fuel efficiency of diesel as well as the legendary Grasshopper comfort, durability, quality and easy maintenance built into this zero-turning mid-mount mower. Commercial Use: 3-year unlimited hours; limited warranty covering parts and labor. Residential Use: 4-year or 800-hour (whichever comes first); limited warranty covering parts and labor. Optional premier suspension seat provides the ultimate in operator comfort. Low-profile seat slides fore and aft and includes an integrated shock absorber that manually adjusts to operators between 100 – 300 lbs. Other ergonomic features include a backrest that tilts from -5 degrees to +30 degrees, a lumbar support mechanism, adjustable armrests and a retractable seat belt. Smooth tread, 13x6.50x6 caster wheel. Performs like a pneumatic tire, but without the inconvenience and downtime associated with flats. Not for use with PowerVac Collection Systems, or with DuraFlex Suspension Forks. Optional 2-bar DuraGuard™ Rear Bumper provides additional protection of the rear of the mower while preserving easy access for removal of the rear service shield. Available on the 200, 300 and 400 Series. A multi-channel sprayer that combs water pressure between radiator fins without damage, dislodging packed-in dust and debris that can become an invisible source of engine overheating. Remove and clean radiator screen regularly. A dirty screen will cause the engine to overheat. For use on liquid-cooled models only. The Electric Height Adjustment kit offers 1- to 5-inch height adjustment control from the operator's seat with the flip of a switch. This dealer-installed option is available for all 200 and 300 Series MidMount™ models. Accepts 53-inch, 30-gallon shielded sprayer, which features aerodynamically designed shields and fully shielded curtains to contain chemical spray. Four-nozzle spraying chambers apply small droplets that "stick" to vegetation for more coverage per tank using less chemicals. Deck Construction Double-layered 10-gauge plus 7-gauge formed-steel laminated spindle plane 0.313 in (7.95 mm) thick - more than 25% thicker than 0.25 in. (6.35 mm) with 7-gauge skirts for geometric strength. Spindle plane is 0.9 in. (22.86 mm) thick in stress zones. Anvil-edge design with 0.5 in. (12.7 mm) reinforcement on front edge of deck. Deck Spindles Sentry™ Spindle System, 2.5 cm (approx. 1 in.) O.D. shaft. Double bearings greasable from top of deck. Spindle head designed to eliminate fiber wrap. Spindle cones shield housing and lower bearings from fiber wrap and dirt ingestion. Operator Seat Ultimate Suspension Ride (USR) iso-mounted, high-back, deep-cushioned, foam-padded, CoolTemp Cordura-covered, padded arms/backrest with lumbar support and coil-spring suspension. Optional CoolTemp Cordura-covered premier suspension seat. Console-mounted Instruments Low engine oil pressure, alternator, temperature and parking brake warning lights, engine temperature and volt gauges, combination electronic fuel gauge/hour meter, glow plug, ignition and push/pull PTO switches. Transmission Type Design-matched G2 hydrostatic system with auxillary cooling fans, HydroGear variable displacement 16 cc piston-type pumps and high-torque Parker wheel motors. Transmission Filtration 7 micron absolute, spin-on / Grasshopper CoolTemp Hydro-Max™ fluid withstands high and low temperature extremes for 1,000-hour change intervals. MidMount™ Front Caster Wheels 13x6.50x6; rib tread, pneumatic with greasable, double-sealed bearings to protect from grass wrap. 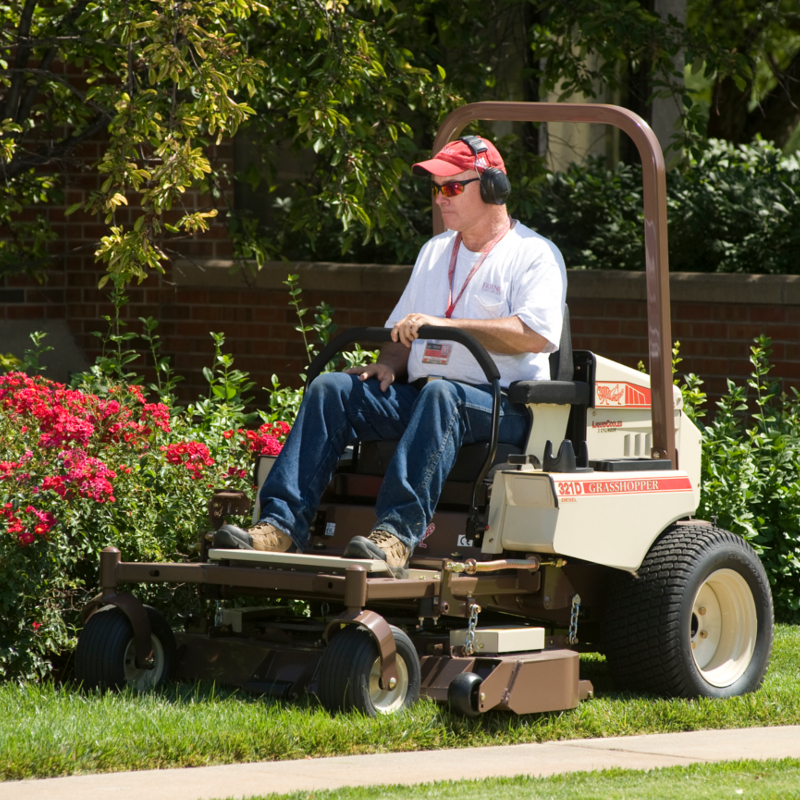 D & G Distributors is your authorized Grasshopper dealer selling and servicing the complete line of Grasshopper MidMount™ and FrontMount™ mowers for turf care professionals, business and government entities, and homeowners.